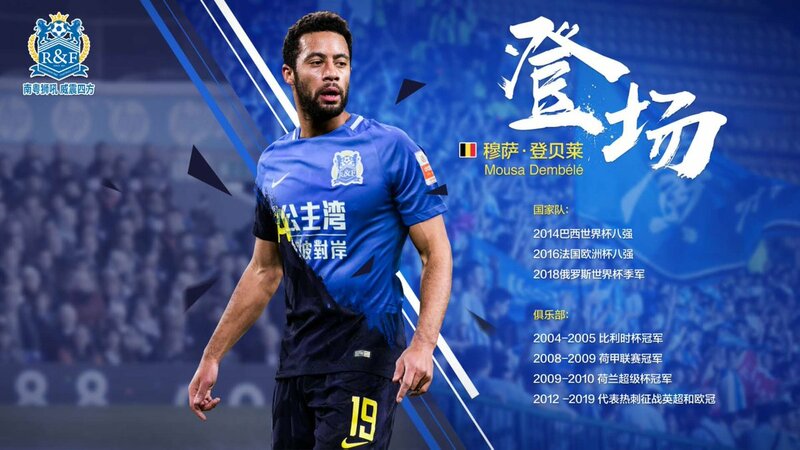 Mousa Dembele ended six-and-a-half years with Tottenham Hotspur on Thursday with a move to Guangzhou R&F of the Chinese Super League. The transfer is subject to international clearance, and will see the Belgian midfielder join a squad that doesn’t boast a party of star-studded names like some of R&F’s rivals. The Guardian’s David Hytner reports it cost the Guangdong club £11 million to sign Dembele. Dembele, 31, moved to the Premier League from AZ Alkmaar in 2010. His first stop was Fulham, where he made his debut as a substitute against Manchester United and then scored in his first start against Port Vale in the League Cup. He was purchased for Tottenham by Andre-Villas Boas two years later and, after a tricky beginning to life in north London, gradually established himself as a critical part of current boss Mauricio Pochettino’s designs. Although the latter part of his stay was hampered by hip issues, his effortless creativity and dribbling ability will be remembered fondly by Tottenham supporters. Dembele’s exit leaves Tottenham rather light in the middle of the park. Moussa Sissoko was substituted with an injury in Spurs’ last outing against Manchester United, Eric Dier hasn’t played since early December, and Victor Wanyama is a long-term absentee. That leaves Christian Eriksen, Dele Alli, Harry Winks, and teenager Oliver Skipp as candidates for the base of Pochettino’s midfield.